According to a new survey by the BBC, almost a third of fans claimed they did not know accessing unauthorised streams was illegal. NEARLY HALF OF fans have admitted to watching an illegal football stream at least once, according to a new survey conducted by the BBC. The research conducted by 5 Live Daily, which collected the views of 1,000 fans, further revealed that a third of supporters watch matches through illegal streams at least once a month. A quarter of all those surveyed said they use special technology such as Kodi boxes to access these streams. Kodi is a legal, open-source media player that can be used on various operating systems and platforms but that is increasingly sold ‘fully loaded’ with third-party apps that enable users to gain unauthorised access to copyrighted content. The Premier League has already announced its intention to crack down on these boxes, which infringe on television rights held by Sky Sports and BT Sport. The English top flight recently won a court order that will allow it to block entire servers from which streams are originating, rather than just individual websites – an approach they believe will be more effective in tackling the problem. Online marketplaces eBay and Amazon have also said that they will ban any users caught selling the boxes through their sites, with the latter even threatening to destroy any equipment found in the centres they provide to store and ship stock. The BBC’s survey lists the top reasons given for watching such streams as a family member or friend doing it, the quality of the video and the lack of value for money offered by sports TV subscriptions. Sky plan to revamp their sports offering by offering more flexible packages that start at a much lower price as they battle with the change in consumer expectations created by subscription TV services such as Netflix. 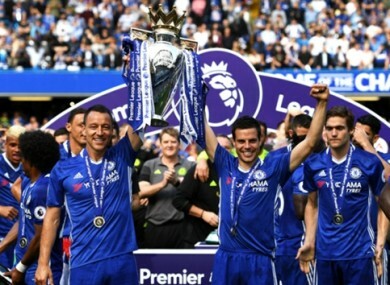 Sky and BT combined to pay a record sum of over £5 billion in the most recent Premier League rights deal but both saw a drop in viewership during the 2016-17 season. Sky saw a 14 per cent decline and BT a two per cent drop, which amounted to the biggest decrease in seven years. According to the BBC, just under a third of fans say they did not know whether or not it was illegal to stream Premier League matches live from unauthorised providers. “People need to be aware that this is no longer a grey area,” said Kieron Sharp, the director general of the Federation Against Copyright Theft. “In fact, it is very black and white. Email “Nearly half of Premier League fans admit to watching illegal football stream”. Feedback on “Nearly half of Premier League fans admit to watching illegal football stream”.